Because. There are so many things happening that I can’t focus on just one. 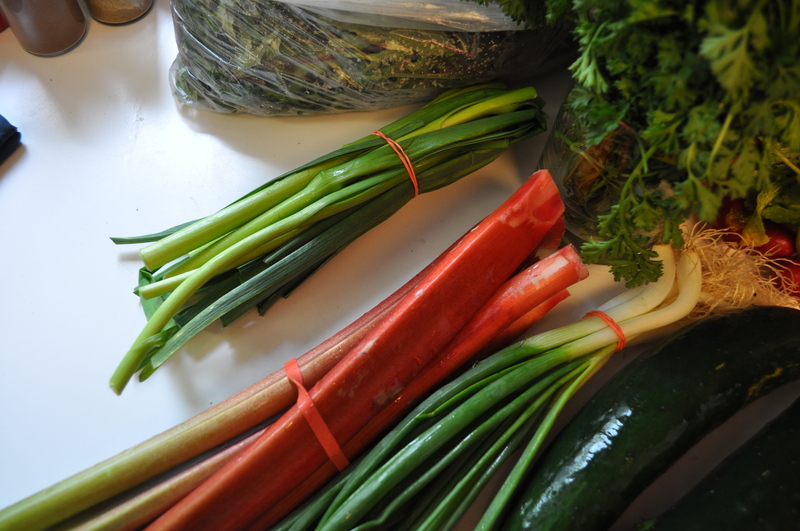 Like how happy we are to have rhubarb and garlic greens and scallions to celebrate spring cooking. Like the fun we have in the rain while leading field trips. Like looking forward to grilling season with all the good food we get from local vendors. 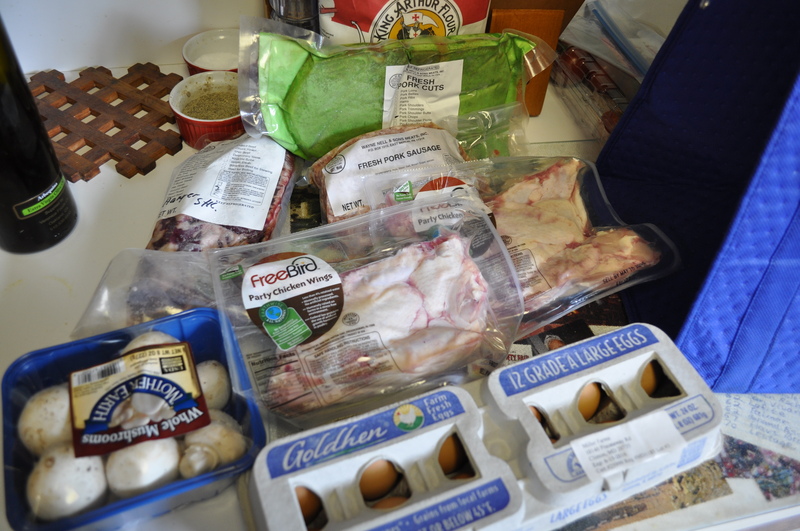 We’ve already done the hanger steak but if the sun actually hangs around, I will be grilling chicken wings. Drenched in butter and hot sauce. Tomorrow, I will try to hit the River Hill and Ellicott City opening day. Glenwood, I’ll save for my regular weekend trips but I want to check in with Copper Penny at Ellicott City. Their market in AACO lost its site, so I am glad they found a new home next to the Wine Bin. Speaking of the Wine Bin, we need Rose wine. And they have lots of it. After I help with check in for Hike to the River at the Howard County Conservancy I am off to check out the markets. Now do you understand why this post is all over the map? There is so much going on, and it’s that time of year when we love to get outdoors. Click on my links to hear more. Posted in Commentary, Community, Farmer's Markets, Food, Local Businesses and tagged commentary, community, farmer's markets, Food, foodie, gardening, local businesses, wine. Bookmark the permalink.